Driving around at night on unknown off-road trails isn’t the smartest idea, but if you do find yourself in this situation you want to make sure you’re prepared. Despite their off-road prowess, Jeeps are known for having bad factory lighting for all models before the introduction of LEDs in 2017 and later models. Essentially, the lights that came stock with your Jeep were designed to be used with other lights, aka street lights and other cars. However, any off-road enthusiast knows that at some point, either on purpose or by accident, they are going to need more than their headlights and the stars to guide them. Keeping yourself safe and other safe is the main reason to find the best off-road lights for your Jeep. Apart from lift kits and bigger tires, off-road lighting should be the next step you take towards getting your ride off-road ready. The following guide will help you to choose the best off-road lights for your Jeep for the next time you traverse the unknown. From what type of bulb to what type of beam, choosing a lighting system for your needs can seem like a daunting task. We hope that the following guide can help you to narrow down your search for the best Utah off-road lighting for your Jeep. After reading this guide, you can check out Red Desert Off-Road’s interactive garage for Jeeps to see how specific lights would look on your ride. This article discusses the different types of off-road lighting to choose from and which of these lights are best for specific situations, as well as where to mount your new lights. 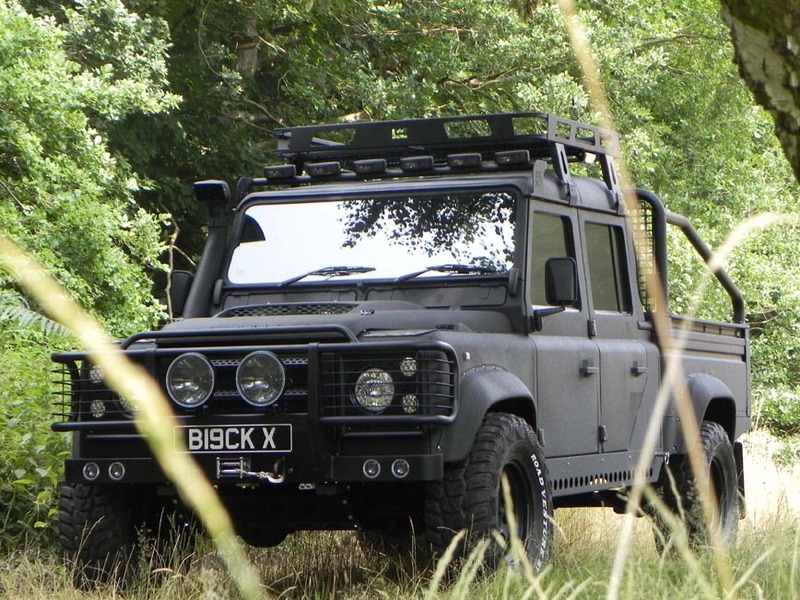 In the off-roading world, there are three main types of lighting, halogen, LED, and HID. Each of these types of lights offers specific advantages and disadvantages, both of which should be considered before deciding on what type of light to purchase. Halogen – Halogen lights are the most affordable lights and replacements are easy to find as this is an older technology, so it can be found almost anywhere you buy off-road accessories in Utah. Halogen lights do not emit as much light as LED or HID lights and for that reason, they should not be used for driving lights or spot lights. Basically, if your budget is pretty tight and you can’t spring for HID or LED lights, Halogen lighting is your next best option. LED( Light Emitting Diode) – LED lights are the longest lasting of any other bulb and use only about 1/10th of the energy that halogen bulbs use. 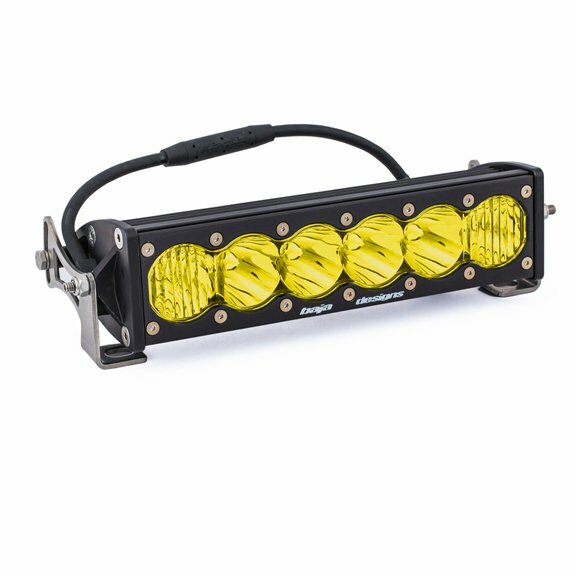 These are some of the best off-road lights for Jeeps as they can be used for many applications and are great for light bars that put off a flood beam pattern. Red Desert sells various brands of LED lighting for off-road vehicles, including top brand names like Rigid Industries and Baja Designs. LED lights need to be installed professionally to avoid burnout from incorrect installation. HID(High Intensity Discharge) – HID or Xenon lights are the brightest of all off-road lights and are a great option for spotlights and for people who travel at higher speeds during the night since they shine almost two times farther than LED lights. While the price point of HID bulbs is around the same as LED lights, HID lights are more fragile than LED lights and take about 30 seconds to warm up before they reach their maximum brightness. Choosing what type of off-road lighting in Utah you need is more than just about what type of light to choose, you’ll also need to decide what type of light pattern is going to be the most beneficial for you. Fog Lights – The name says it all. These lights were designed to cut through the fog and other inclement weather, such as rain and snow and are even useful for when you’re throwing up dirt and dust on an off-road trail. Fog lights are best mounted below the headlights and should be used with your regular headlights and/or driving lights when off-roading in Utah. Fog lights should be an essential part of your off-road gear since you’ll end up facing rain, snow or fog at some point and at the very least, dirt and dust. Additionally, since the beam of fog lights doesn’t need to go any great distance to provide optimum visibility, LED Fog Lights from a trusted brand will be your best bet. If you’re unsure, speak with a member of Red Desert Off-Road’s staff to see which Utah off-roading lighting systems are best suited for your needs, style, and budget. Driving Lights – Driving lights are designed to improve the range of your high beam headlights. Since these lights are used in addition to your regular headlights, it only makes sense to choose driving lights that use an HID or LED bulb, which provides a brighter and longer range visibility pattern than driving lights that use Halogen bulbs. Driving lights are best used for when you need heightened visibility at night and for high-speed driving. Just like you would with your high beams, make sure to dim or turn off your driving lights for oncoming traffic. Driving lights should be mounted on the lower half of your vehicle, on or below the bumper. Flood Lights – If you use your Jeep for work, flood lights will become your best friend. Designed to illuminate a wide area, flood lights have a light pattern spread out of almost 120 degrees. Since this light pattern “floods” over such a wide area, the beam itself is not very intense. LED or Halogen Light bulbs are best suited for flood lights. Flood lights are usually mounted above the windshield (known as a top mount or A Pillar) or on the lower windshield pillar. If you plan on driving at higher speeds, you may want to consider mounting your flood lights on the top mount. Spot Lights – Spot lights or long range lights are designed to give off a powerful beam of light that is usually no wider than 45 degrees. Spot lights are a fantastic addition to your Jeep if you use it for work and/or off-roading. To get the brightest and longest beam of light, you’ll want to choose a spot light that used HID bulbs, however, LED lights will also work in this application. Most spot lights are not street legal and should not be used on the roadways. Spot lights are usually mounted either to the top mount or windshield pillar of a Jeep. To get set up with the best off-road lighting for your Jeep or if you have any questions about other types of off-road accessories, contact Red Desert Off-Road today.